I have been SO EXCITED to make this pie. As I’ve said before, I actually don’t like pie as much as you might think (give me ice cream any day of the week), but banana cream is a whole different story. 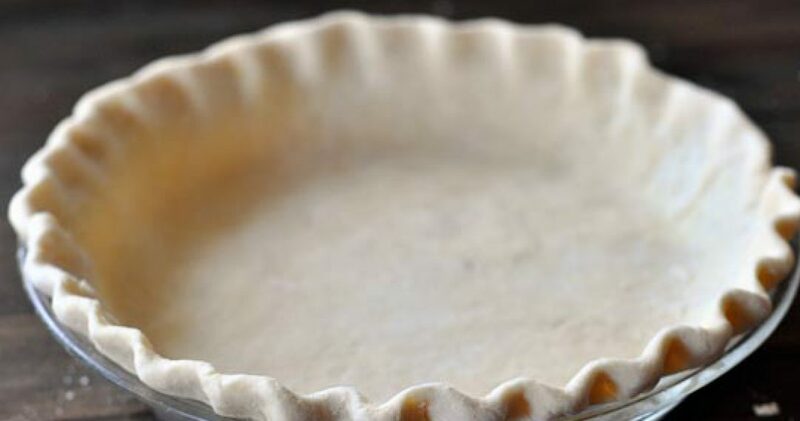 Another reason I started this project, besides trying to get a shoutout from Sara Bareilles, was so that I could find the perfect pie or pies to enter into my office’s annual Pi Day contest. Last year, I won second place and Best Presentation with a Raspberry Custard pie. A banana cream pie has won first place for the past two years. I am CONVINCED that this is because everyone in my office just really likes banana cream, so I will be submitting my own version this year along with another choice. This is war. I’m cheating with these and adding a few tips from the book because I really didn’t run into any trouble with this one. 1) Ripe, firm bananas that are yellow and lightly speckled with brown are best for the filling. 2) If you aren’t serving the pie right away, brush the banana slices that top the pie with lemon juice to keep them from browning. 3) I used another fancy piping tip to get the beautiful whipped cream effect so I could mimic the picture in the book yet again. Can’t emphasize enough how game-changing having these instruments is. Despite having a few banana-haters in the group (what!? ), most everyone was just as excited as I was to try this out (see William below). The absolute best part of the pie was the secret layer of toffee bits between the crust and the custard. It added an incredible taste and texture. I have to say, I wasn’t wowed with the custard itself. It wasn’t as creamy as I had hoped. I’m going to try this one out again and see if perhaps I cooked it a little too long. If it’s still not up to par, I’m jut going to snag a recipe from somewhere else and add in the toffee bits to really go to the next level! The pie looks pretty awesome!